PRICED TO SELL! 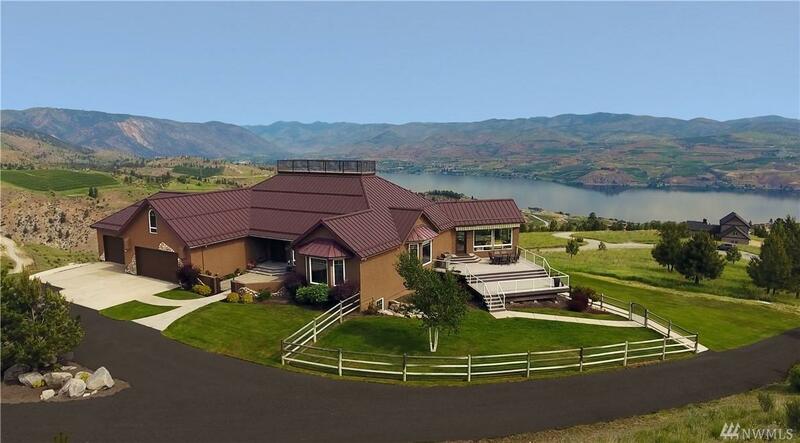 Featured in the Chelan Tour of Homes, this architecturally designed masterpiece takes advantage of the dramatic 180 degree views of Lake Chelan! Recently updated throughout. Chef's dream kitchen & open concept floor plan. Master retreat w/ fireplace & soaking tub. 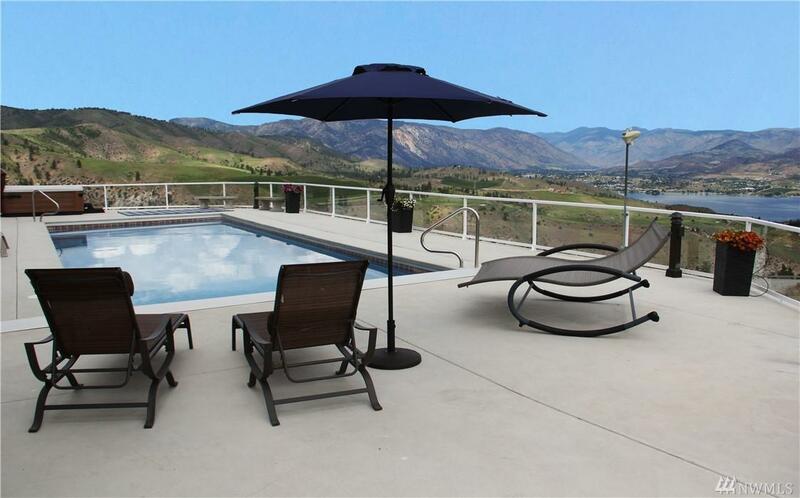 Fully finished lower level offers large game area, kitchenette, exercise area, media, office & wine room. 4-car garage w/ heated shop. 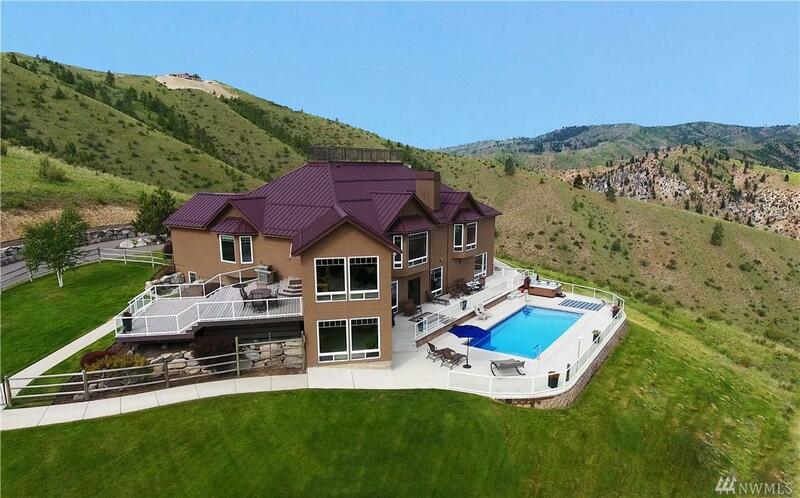 Private 20-acres. 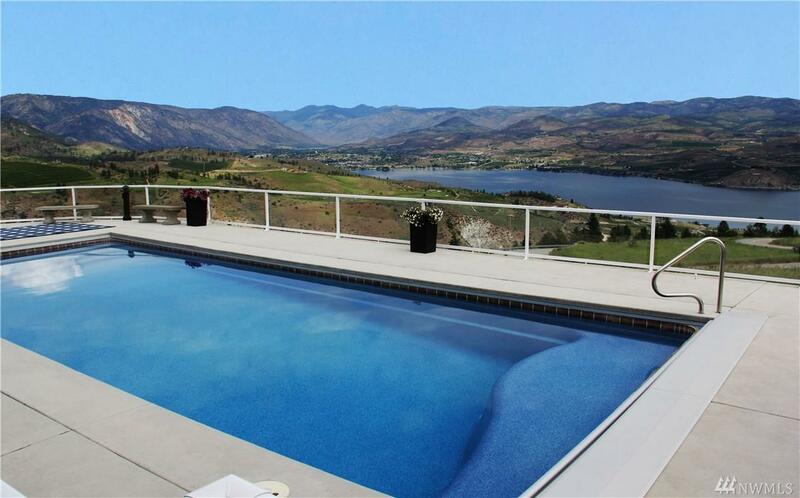 Beautiful custom pool, jacuzzi & pool decks with expansive views!